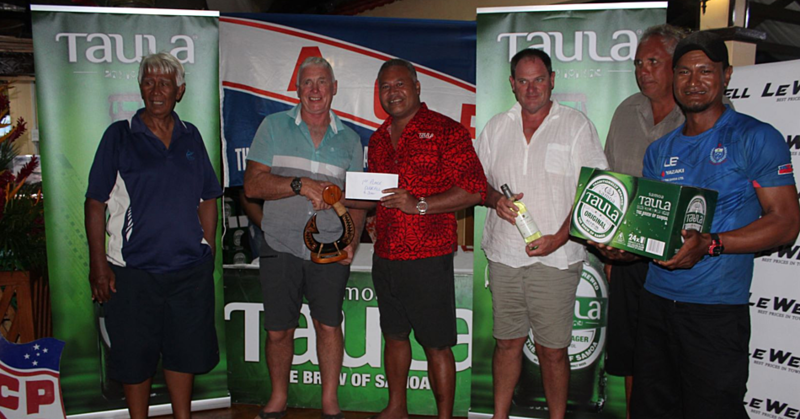 The Samoa Business Network, Samoa branch, held their Annual General Meeting at the Tanoa Tusitala Hotel last week. This followed a successful Digital Marketing Workshop, at the S.S.A.B. Conference Room, and Business Networking Event at Tanoa Tusitala Hotel. The A.G.M. presented an opportunity to reflect on the 2017 and 2018 period to date, and activities delivered by the Samoa Business Network in Samoa. It was also an opportunity to announce the resignation of some of their Executive Members elected during the 2017 A.G.M., and welcome on board new Executive Members, who have agreed to take up these positions until the next Elections are held in 2019. The new Executive Members include: Dinah Macdonald - Secretary, Stephanie Solomona - Treasurer, Cecilia Keil – Executive Member & Fashion Industry Representative and Eterei Maiava – Youth Representative. Remaining Executive Members from 2017 elections are Etu Tusitala – Executive Member and Afamasaga Jackie Curry – Chairwoman. S.B.N. Chairwoman, Afamasaga Jackie Curry, acknowledged the contributions made by the former Executive Members who have now moved overseas and/ or taken on new roles and business ventures – Clay Paul, Beatrice Ott, River Burich & Ashlene Paul. The A.G.M. was attended by S.B.N. 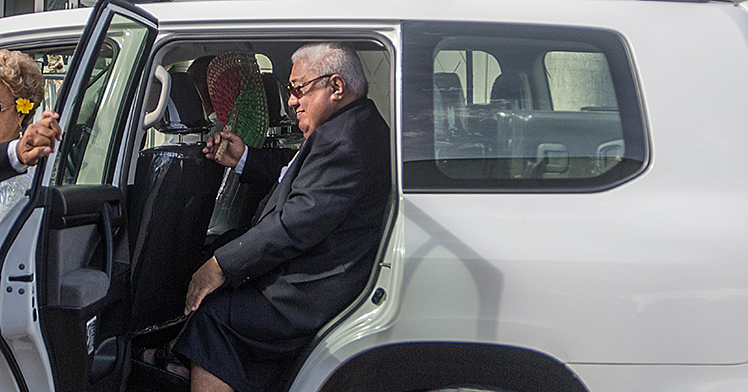 members who were interested to find out more about the future plans of the organisation in Samoa, as well as New Zealand, and how members could benefit from being part of this organisation. The A.G.M. concluded with a presentation by the S.B.N. N.Z. Chairwoman, Laura Keil-Hall, who touched on the Vision and Mission of S.B.N. with members, and shared some of the exciting updates & future plans for the organisation. Mrs. Keil-Hall shared with members the Vision of S.B.N is “to enable a successful worldwide network of Samoan Businesses, Entrepreneurs & Professionals”, and the Mission is “to provide a platform for Samoan Businesses, Entrepreneurs & Professionals to network, collaborate & also make a positive difference in our community”. Therefore all S.B.N. 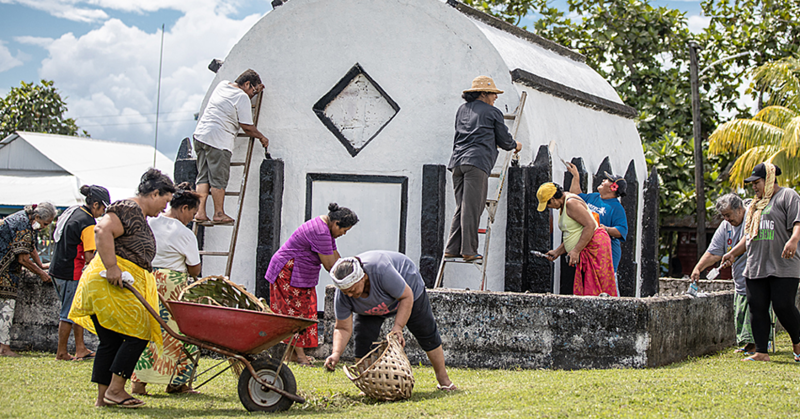 activities and events are focused on this clear vision and mission, which is all about promoting Samoan business success, and encouraging our business people and professionals to work together and collaborate for better business and social outcomes for our communities, and to contribute back to our homeland and make an impact in Samoa. 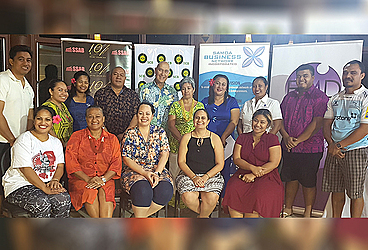 Samoa Business Network Chairwoman, Afamasaga Jackie Curry, also acknowledged the support of Corporate Sponsors and the C.E.Os of these companies, who have made all the activities and events in 2018 possible: Lemalu Ray Ah Liki & his team at Samoa Commercial Bank, Tofilau Fiti Leung Wai and her team at S.S.A.B., Jay Krishna and his team at Tanoa Tusitala Hotel and Kevin Schuster and his team at Events, Marketing & Distrbution (E.M.D. ).